After three days of sensational football at Roskilde Festival it was time to find the winners and to give away prizes to the many fantastic teams that have taken our amazing football tournament to a new level. Team ‘Rhodondendon Blomst’ won the tournament with impressing wins against very good teams and ended with a win against ‘Team Ethnic’ in the final. But perhaps more importantly the many teams with creative costumes, cool songs, cheering crowds and lots of karma were celebrated with big prizes. ‘Nun Stop’ took the karma prize and were celebrated by Christian Stadil – the founder of Hummel. ‘Ni kilo dynamit’ won the Sensational prize and a 35.000 thousand travel voucher. 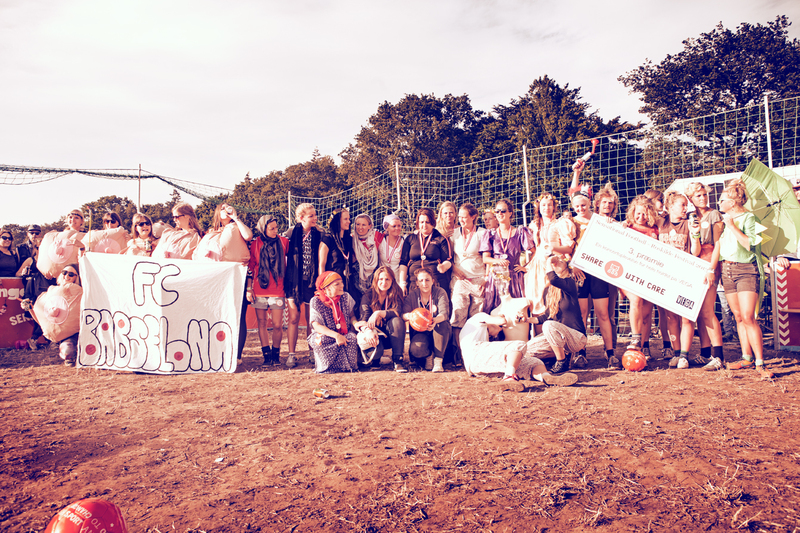 A BIG THANK YOU to all the participating teams, our wonderful partners and all the lovely people at Roskilde Festival 2013, who have contributed to a fantastic three day celebration.